Just Transiting through London? Need to transfer between port or airport? Want to start or end your cruise with a tour of London? Why not enjoy a whistle stop tour of London’s main sights whilst transferring between locations? Designed to make the most of your time transiting, this tour will collect you from you arrival terminal and deliver you to your departure terminal whilst also seeing as many of the main sights that London has to offer. This is suitable for All of London’s main airports and docks and Southampton cruise terminal can be accommodated for a supplement. Changing flights and have a long layover? Need to travel to a different airport? Starting or ending a cruise and need a transfer to the airport? Why not combine your transfer with a tour of the sights of London? 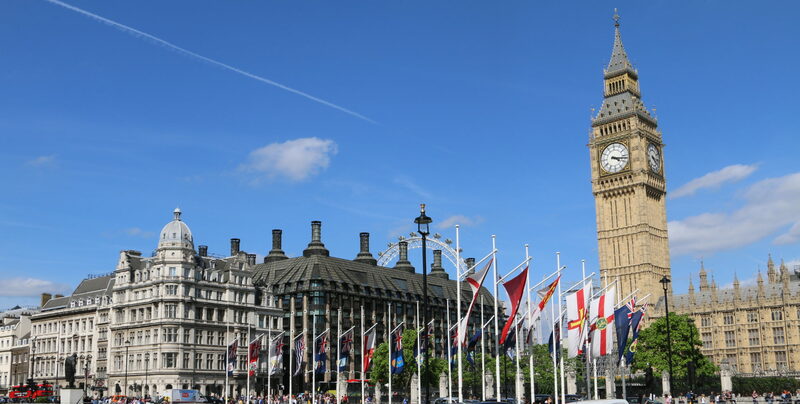 This tour is based on 1 hour transfer time into London, a 3 Hour London Highlights Tours incorporating seeing all the principle sights of London from our Taxi and another hour for the transfer to the airport. This is just a guide but the duration will depend on the transfers themselves too. Air Conditioned Licensed London Black Taxi. Other: Any Transfers from Pick-Up and to Set-Down Locations OUTSIDE of the main London Airports or London Cruise Terminal. Southampton Cruise Terminal can be catered for on request. Larger groups may be accomodated upon request.